Our Associate Artists are groups or individuals who we have a relationship with in some way. This might be through professional development, industry links, new commissions or other interesting projects. Presently our two Associate Artists are Kitty Macfarlane and Pagoda Project. If you would like more information about our associates or how you could be one please get in touch. Kitty Macfarlane is a 22 year old Somerset-based singer and songwriter. She writes songs that are charged with sense of place, shared human experience, and mankind’s relationship with the planet, driven by her own fingerpicked guitar. Highlights range from support sets for Alasdair Roberts, Blair Dunlop, and Feast of Fiddles (where she was joined on stage by Steeleye Span’s Peter Knight), the selection of one of her songs as a theme-tune for Radio 4, participation in a BBC Intro West documentary, and being selected for the semi-final of the BBC Radio 2 Young Folk Award in 2015. 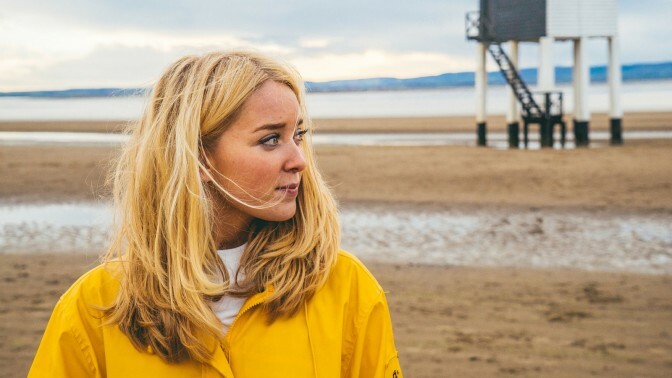 As well as the release of her debut EP ‘Tide & Time’ – produced by Sam Kelly and featuring Jamie Francis, Lukas Drinkwater, Ciaran Algar and Maya McCourt – Spring 2016 takes Kitty on a national support tour with Kathryn Roberts & Sean Lakeman. Created by Paul Hutchinson (Piano Accordion) and Karen Wimhurst (Clarinets) to evolve their fusion sound, Pagoda Project brings together a unique blend of traditional folk music with jazz improvisation to create a warm and dynamic sound. Paul and Karen enthral audiences with their entertaining delivery and enchanting performances. Having signed this year to Sylvafield, Paul and Karen released their first studio album ‘Clarion’ in Autumn 2015. Paul Hutchinson, also known for Belshazzar’s Feast, and Karen Wimhurst, previously a member of the Cauld Blast Orchestra, have a wealth of musical experience in a diverse range of genres from classical to folk. Both are talented composers, educators and performers and are highly regarded musicians in their own right.